Create a BUZZ in your classroom with this new unit! While it is well known that bees produce honey, many other food sources also rely on bees. Conservative figures show that bees pollinate at least ONE mouthful in every THREE that we eat! Bees around the world, including in Australia, are in serious trouble. Overuse of pesticides and herbicides make bees more vulnerable to disease and pests. 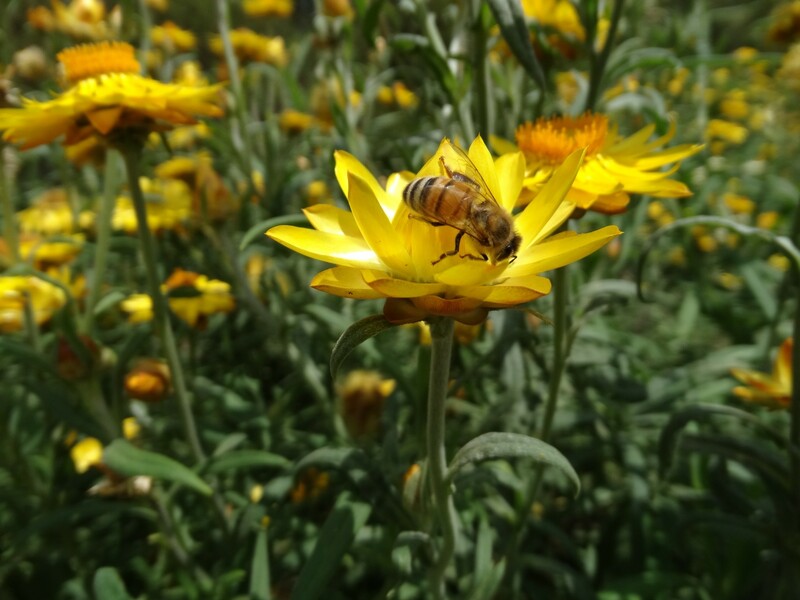 Modern agricultural practices and urbanisation are greatly reducing bee habitat and food sources. Scientists are seeing a large decline in bee populations worldwide. 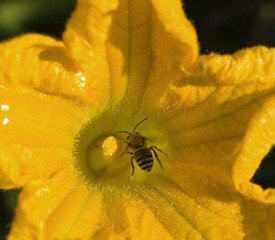 This poses a threat not only for our food production but our environment as a whole, as flowering plants rely on pollinators to survive. The good news is we can all do things to help ensure the survival of bees! The Australian Curriculum aligned “Love Food? Love Bees!” Year 5 & 6 integrated unit explores the importance of bees and enables students to take real and bee-friendly action in their community. Each lesson contains hands-on activities, tips, content information, assessment ideas, engaging videos and a range of other tools that support teachers to navigate this unit. There is also a great range of resources in the Cool Australia Toolbox to use in the classroom including a digital library that has a load of fun and entertaining bee information. . The ‘Love Food? Love Bees!’ curriculum has a broad foundation about the importance of bees for our world and can be used for all age groups. This resource is free and can be used anywhere in the world. 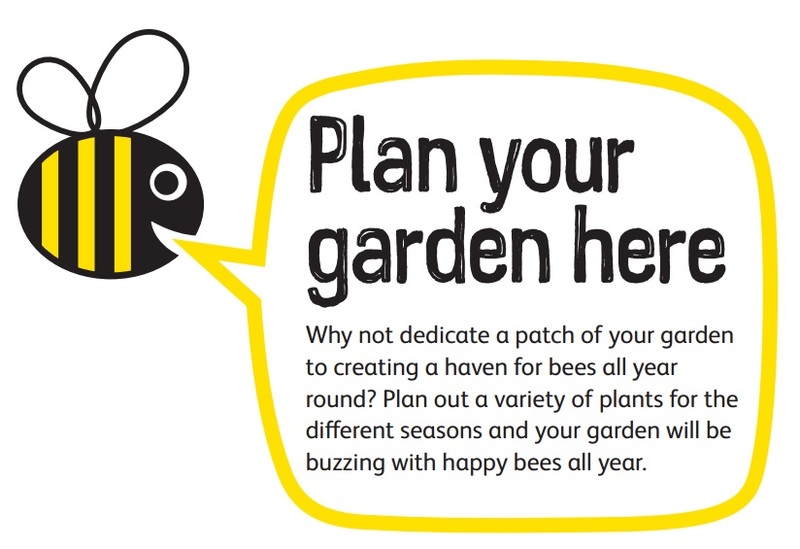 Download and print our new ‘How to create a Bee Friendly Garden‘ flyer. It has lots of great simple ideas on how to be ‘Bee Friendly! “It’s our task to teach children the wonder and value of bees, to feel calm and not be afraid of them. They are working for the good of the whole ecosystem and live in an extraordinarily complex social system which is fascinating for children to learn about. November 12-19, 2017. Be Aware of Your Native Bees has a great range of resources to celebrate pollinators in your area with lots of info about bee hotels as well. Bowerbird is a site which helps identify Australian native bees as well as a whole host of other native plants and animals. is an excellent resource for the Rudolf Steiner curriculum (Waldorf Schools) as it integrates ‘bees’ into main lessons throughout the curriculum with a good range of ideas, poetry, songs and stories to use. Colourful and informative guide to pollination, bees, flowers and bee shelters. Explore and document wildlife from around the world. Document nature with your mobile phone. Help scientists with ongoing research. Fascinating interactive site to get us out in the field. Online educational material and support to bring sustainability and our environment into Australian classrooms, providing teachers with engaging, fun and informative learning activities on a whole range of topics. Worth exploring. Dynamic Association that connects through Education to advance environmental and sustainability issues across all communities and education sectors. Latest issue of Conversations has an article about fun ways to bring bees into the curriculum through the arts. A monthly newsletter from National Parks and Wildlife Foundation with all sorts of news on what’s happening seasonally with all sorts of animals. March B-mail 2016 has ‘It’s a Solitary Life for a Bee’ and also wasp stories. Worth subscribing to. Honeybees have thrived for 50 million years, each colony 40 to 50,000 individuals coordinated in amazing harmony. So why, seven years ago, did colonies start dying en masse? Marla Spivak reveals four reasons which are interacting with tragic consequences. This is not simply a problem because bees pollinate a third of the world’s crops. Could this incredible species be holding up a mirror for us? A beautiful short film about honey bees by Peter Nelson. Original score by John Powell. Narrated by Bill McKibben. A profound, alternative look at the global Bee Crisis from award winning film maker Taggart Siegel. Brilliant short clip by Greenpeace on bees and pesticides. Save the bees, save the humans. Follows commercial beekeepers David Hackenberg and Dave Mendes as they strive to keep their bees healthy and fulfill pollination contracts across the U.S. The film explores the struggles they face as the two friends plead their case on Capital Hill and travel across the Pacific Ocean in the quest to protect their honeybees. Filming across the US, in Europe, Australia and Asia, this documentary examines the alarming disappearance of honeybees and the greater meaning it holds about the relationship between mankind and mother earth. As scientists puzzle over the cause, organic beekeepers indicate alternative reasons for this tragic loss. Growing a Wind Garden-Arts Project. The Common Ground exhibition features a variety of projects that present how students in schools across British Columbia explored their local landscape and its relationship with the people, animals and plants who live there. Depicts the respectful and deep relationship between the beekeeper and the bees in Translyvania where agriculture has been least affected by pesticides. Beautifully filmed with important message about the importance of the bees for the planet and the urgency of their need. Wonderful educational resources for teachers. Have a good look as there’s a feast of ideas, music, stories, activities. 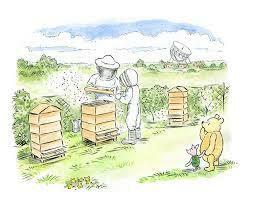 A new story of a much loved bear who is ‘saving the bees’. It also has lots of activities from planting to baking to arts and crafts to educate children about the importance of bees. (Scroll down the page to download the book). 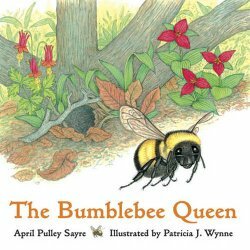 Follow the life of the bumblebee queen through the year as she creates colonies of hundreds of bees in the space of her life of only one year. A beautifully illustrated story for children about a Scout the bee in search of the last flowers in Autumn. 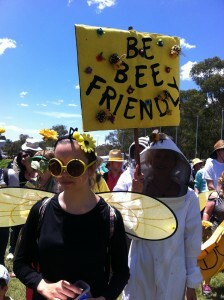 Drama, games and art projects to do with young children with a focus on bees. A close up views of the queen, the cells and bee eggs of a wild hive which is enthralling for all ages. Have a peek at the trailer. 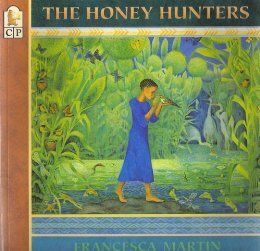 Based on an African folktale, the joyful hunt of a young boy and animals following the honeyguide to the honeycomb. 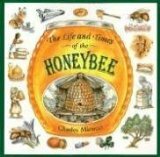 An excellent introduction to natural science with beautiful illustrations and insights into the complexity of the bees world. 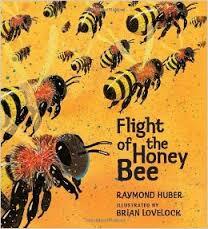 Beautiful poetic text which is easy to read with bold illustrations of bees. 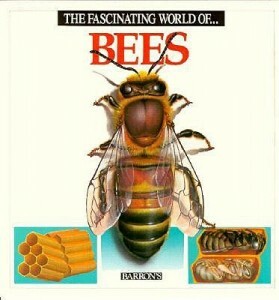 Fascinating book on How do bees communicate? 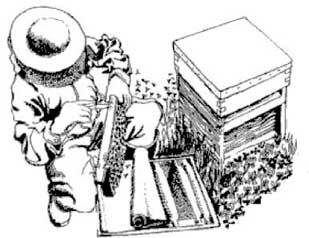 What does a beekeeper do? Did you know that Napoleon loved bees? Who survived being stung by 2,443 bees? This book answers all these questions and many more, tracking the history of bees from the time of the dinosaurs to their current plight. Brings alive the thousands of bees visiting millions of flowers to gather the nectar to make honey. The complexity of each task in the hive is discussed as well as understanding the rhythms of beekeepers year. The bees on the Bell estate are dying. There’ll be no more delicious honey, and without the bees to pollinate flowers, no more fruit and vegetables. No more of Mrs Simpson’s glorious pies and cakes! Worse still, Mr Fisher the gardener will have to leave the estate, along with his family. Darius Bell is determined that something must be done, even if the dastardly Mayor is against him. An adventure story of ‘Ned Kelly’ who spent an unusual summer in a beehive after shrinking to the size of a bee. A great read for 8 – 80 year olds with a factual base to the fantasy. Bea Bee is the most resourceful, hardest working and happiest bee living in a hive located in a beautiful meadow. One day she notices a new sign on the gate and goes back to the hive to get wise old bee to come to the gate with her and read the notice as she doesn’t understand all the words. The news is bad; the sign is for a planning application to build houses all over the meadow. Wise Old Bee suggests that only if a rare or endangered species is found in the meadow is there a chance that the meadow can be saved. Bea suggests a wild idea on how to save the meadow from this happening. If they don’t then they are going to have to move the hive. Can Bea’s plan and her friends from the meadow find a way to save it from being built on? Go outside and look for bees. What colour are they? What colours are the flowers they enjoy? Are there different types of bees in your garden? When you go walking in the bush, keep a lookout for ‘natural hives’ in tree hollows or even hanging from tree branches. 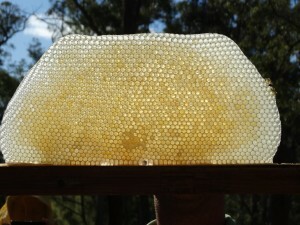 It is wonderful to watch the wild bees flying in and out of their hive and glimpse them on the wax comb. Join Project Noah a tool to explore and document wildlife from around the world. Document nature with your mobile phone and get your photo on the site and help scientists with ongoing research. Most of the bees in a hive are females and there can be up to 50,000 bees in a hive!